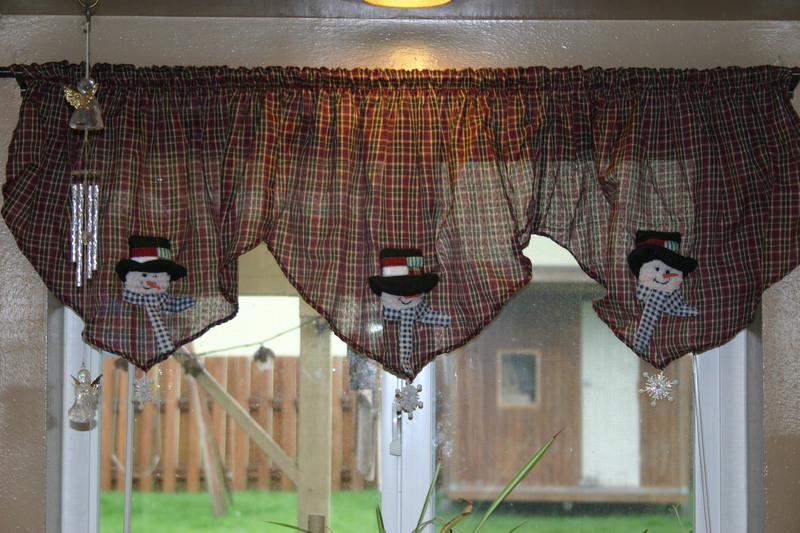 Ever since Christmas, I’ve had this valance in my kitchen window. It’s Spring! I honestly forgot it was even there. The snowmen are small and I don’t usually look “up” at the window, I look “out” the window. So I completely missed it when I was putting the Christmas decorations. I didn’t have anything to put up there anyway. 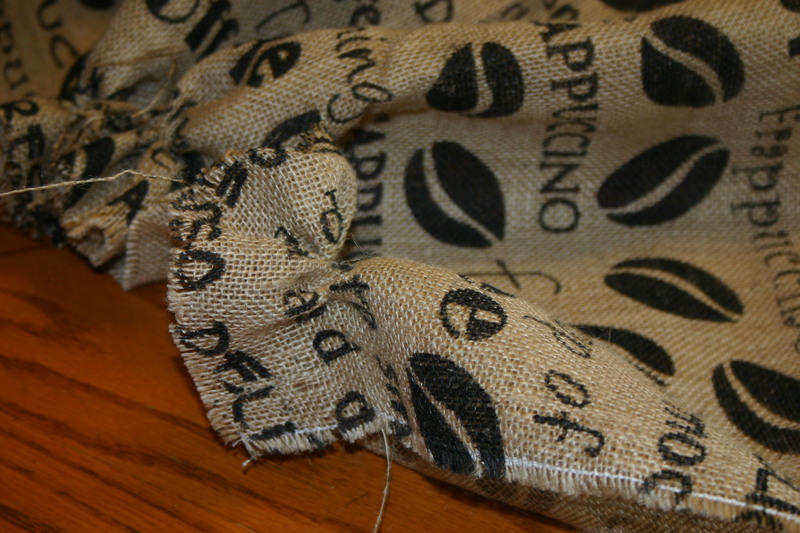 This last fall I saw coffee print burlap at the local variety store. 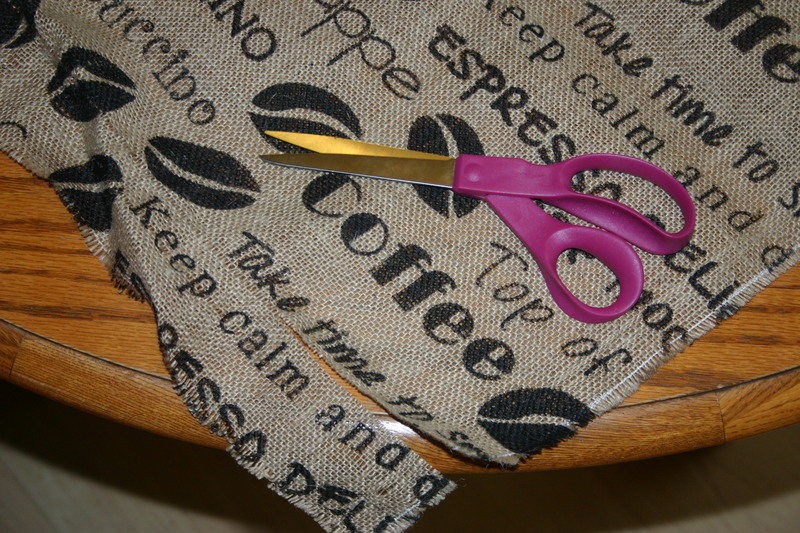 I decided, that if they still had some, I’d buy it and make a valance. I was totally in luck! They had 2/3 of a yard left. 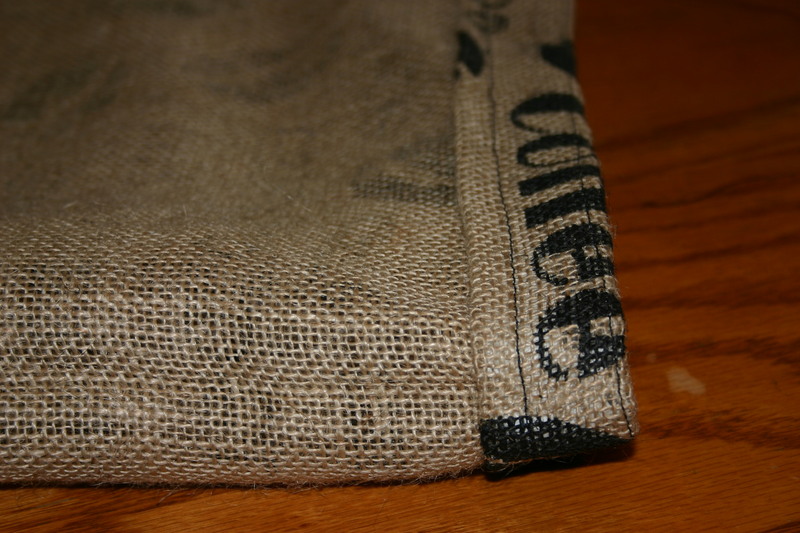 Perfect for a kitchen burlap valance. I brought it home and got to work. I knew I wanted to just make a basic valance. 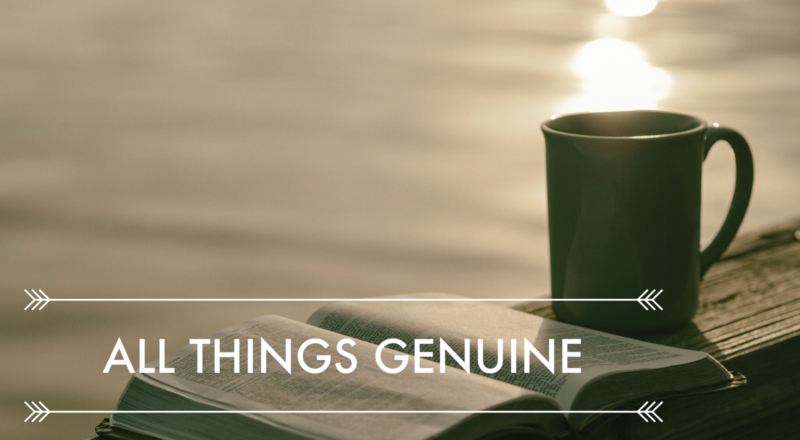 Nothing to fancy. 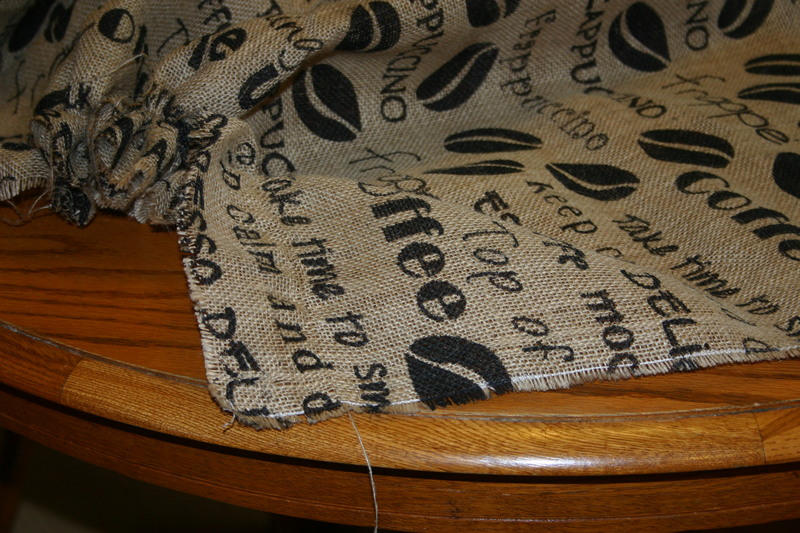 Never working with burlap before, I did a little research first. You can see the line it made to follow in the picture above. This technique made it very easy to make a straight cut. I read that it unravels rather easily and I didn’t want that. 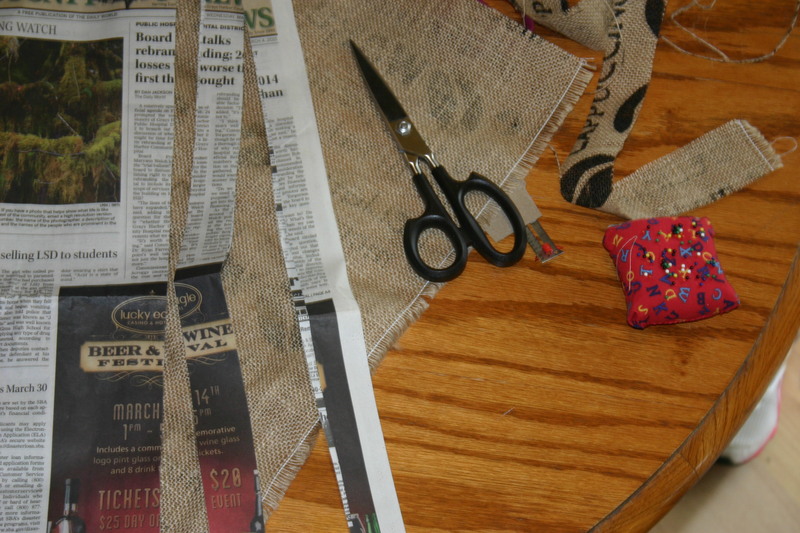 So first, I cut some strips of news paper to use as fabric tape. I cut them the size of the fold I wanted on the bottom as shown here. 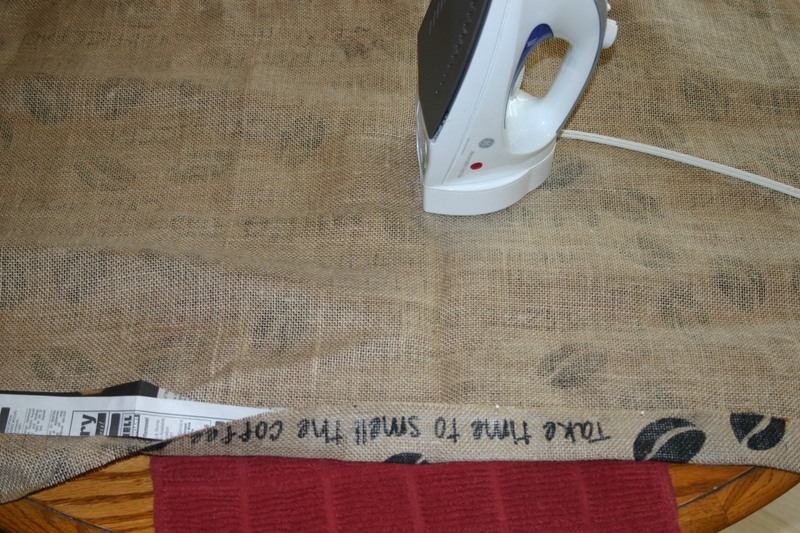 I folded it twice, ironed it down to hold it in place and used the sewing machine to stitch it up. That seemed to work pretty well. I decided to try something different with the top. I got out the hot glue gun and went to folding, ironing and glueing. 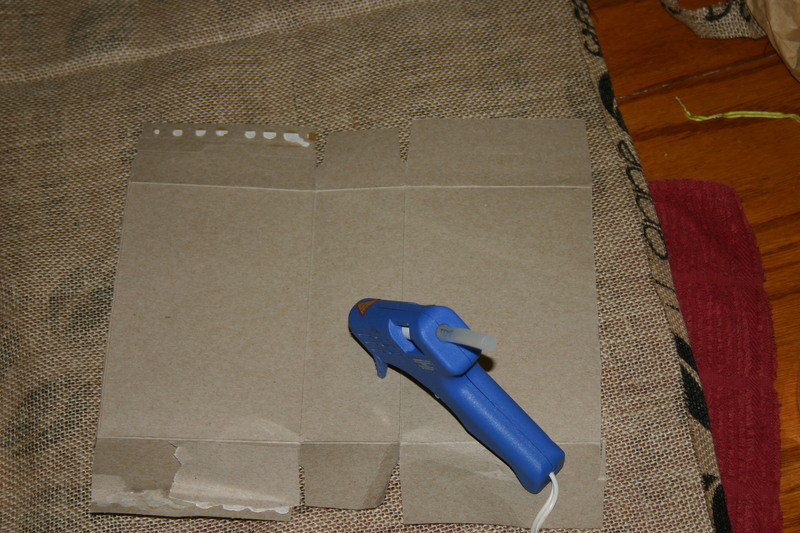 That seemed to work well too .. except I didn’t let the glue dry long enough before I used the machine on it. OOPS! lol Anyway, once it was able to get the top stitched up. It turned out great. 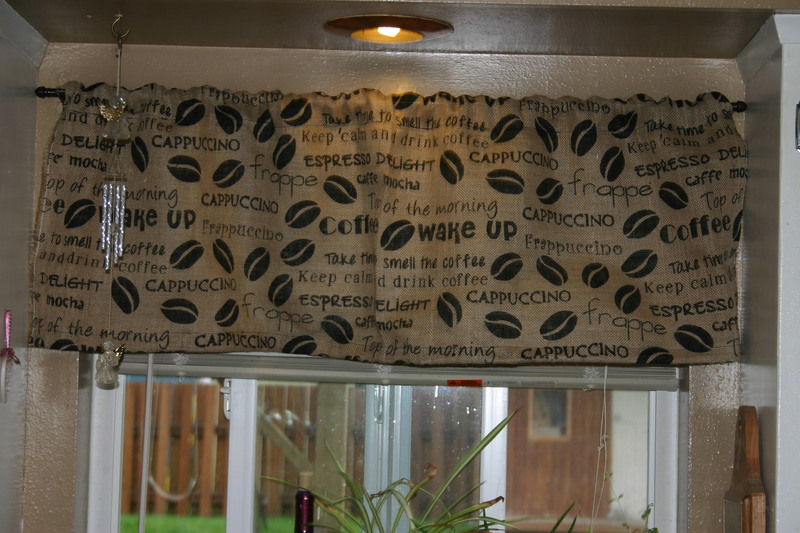 I am a huge coffee lover and this valance fits my kitchen perfectly! 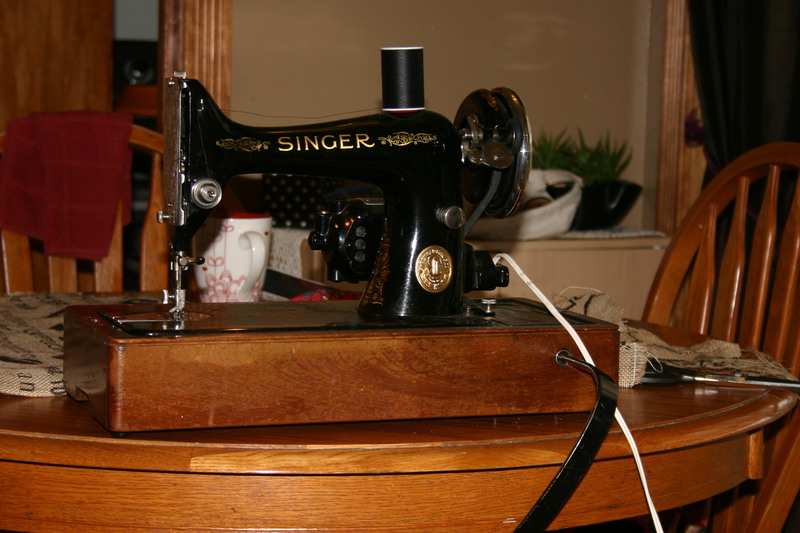 What sewing project have you done recently that you just love?